During the early morning of November 2nd, 2018 Martha Margaret Ant LaRance went home peacefully to be with her Lord and Savior. 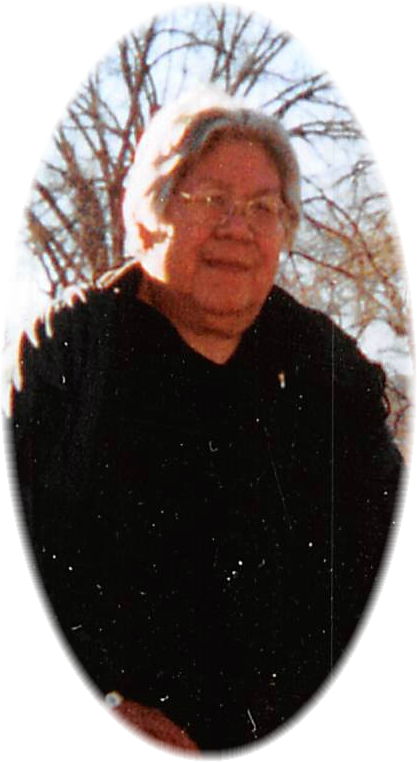 Martha was born in Lame Deer on June 23rd, 1933 to Hannah (Highwalking) and James Ant. As an adult Martha was a nurse’s aide in Forsyth, Montana and eventually a Cheyenne language instructor at Dull Knife College, also a culture aide at Lame Deer Schools. From her union with Chris LaRance she had four daughters and two sons. Martha’s faith was abound and her love for her children and grandchildren resounded in her everyday life. She enjoyed any and all events where she could see her grandchildren and great grandchildren smile and play. She loved to sit a powwows, basketball games, and under her favorite tree. Martha was a great story teller to convey history, humor, and lessons. She will be missed dearly as the center of the family gatherings and the center of our hearts. Special thanks to our extended families: Whistling Elk, Shortneck, Hiwalker, Blackwolf, Lone Bear, and Fisher. Please forgive us if we have missed any of our Family. Nieces and Nephews: Cleve McManus, Late Zethel Woodenlegs, Myrna (Chris) Rochelle, Addie Baker Late Albert McManus and Late Leland McManus, Laforce Souix, Six Leabeaux, Evangeline Solis, Clinton Birdhat and Alvin Birdhat. Children: Rachel LaRance, Late Christopher LaRance Jr., Karen LaRance, Kash LaRance, Esther LaRance, & Tia LaRance. Grand Children: Tristan LaRance, Paxton LaRance, Gabriel Hart, Josie Rising Sun, Chris Rising Sun, Lisa (Clayton) Pretty On Top, Levi Pretty On Top, Elias LaRance, Jalen LaRance, Diandra (Morris) Standing Elk, Halle Standing Elk, Genesis LaRance, Crystal LaRance, Rowland LaRance, Satin LaRance, Neo LaRance, Maria (Ruben) Acosta, Jeremiah Woodenlegs, Rhea Russell, Abdel(Josephine) Russell, Zhona Tang, Caleb Highwalking, Bradley Baker, Leland, Shania, Angel Rochelle and Ira McManus and many more. Great Great Grandchildren: Tahira and Selah Hart. Give special thanks to the countless visits from her dear friends, Reginald and Shirley Bunce, out of London, England. TO THE FAMILY OF MARTHA LaRANCE, THE NORTHERN CHEYENNE CHIEF COUNCIL EXTEND THEIR MOST SINCERE CONDOLENCES AND PRAYERS FOR STRENGTH DURING THIS MOST SAD, SORROWFUL AND MOURNFUL TIME FOR THE LOST OF A BELOVED LOVE. My heart is with you as you go through this time of loosing such a dear one. I pray that you will find comfort and draw closer to the Lord at this time. I worked with and got to know Martha at Lame Deer School and later went to church with her as well. I have fond memories of your Mom. She was always so supportive to me when I was teaching. God Bless you as you celebrate her life and grieve her loss. So sorry for your loss. My deepest condolences, and prayers to all of you. Ma’heonoo’ohta, was a highly respectable woman, she held and displayed the true values of a Cheyenne woman, her strength, love and caring ways, are just a few important characteristics, she had so many positive qualities. Also her knowledge of our language and traditions, that she shared with so many young children and others. She will be greatly missed, continued prayers for each of you. Vo’estanehevetotse Etaomehotoanato He’konetanotse. Martha was a wonderful woman. I was privileged to have met her. I know she will be missed so much by her family and friends. When I moved back in 1994 I joined a prayer group at Annie Limberhand’s with Martha, Freda Standing Elk, my aunt’s Hazel Killsnight, Vicki Whiteman, Helen Hiwalker, Annie Limberhand & others. Martha was very inspiration in her faith with God. I was way younger then all of them but I sure enjoyed their wisdom in the Word. Each one of the ladies would bring their favorite dish which was always delicious. I sure enjoyed the ladies company. I will always remember Martha & her love for the Lord. To the family of Martha, so sorry for your loss. Prayers to you and yours. Martha was a very good person and mother. Martha was my classroom aide for a time, and I always thought a lot of her. She was a devoted mother and worker at anything she set out to do. She will be missed. She did a very good job of raising her children. Martha was a very good person and mother. She was my classroom aide for some time and always thought a lot of her. She always did a real nice job at what ever she did. She was also a very good mother to her children. She will be missed. I first met Martha when I was 16years old. She was so kind to me and let me bunk at her house for a bit. Her kids were all small except Rachel who was my age. Such a warm loving person. Here and her husband Christopher. I eventually married in to the family. Good people. She will be missed. 60 years ago, Martha and our mother became life-long friends. She was hired by our mother to help her run the Lame Deer Hotel. She soon became more like a member of our family. She was a great influence on all of us. She told us stories, and we learned about Cheyenne culture. We are thankful for the help and support that she gave our mother over the years. Our condolences to Martha’s family; it is a loss to us as well.